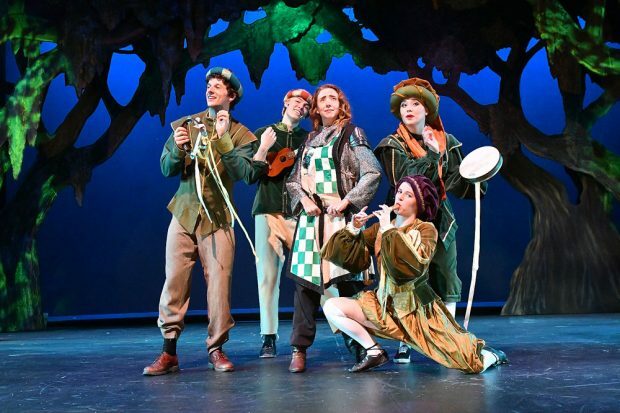 SALT LAKE CITY — “Spamalot” is a musical based on the cult classic “Monty Python and The Holy Grail.” The story revolves around King Arthur, played by David Hanson, and his Knights of the (very, very, very) Round Table and their quest for the Holy Grail. 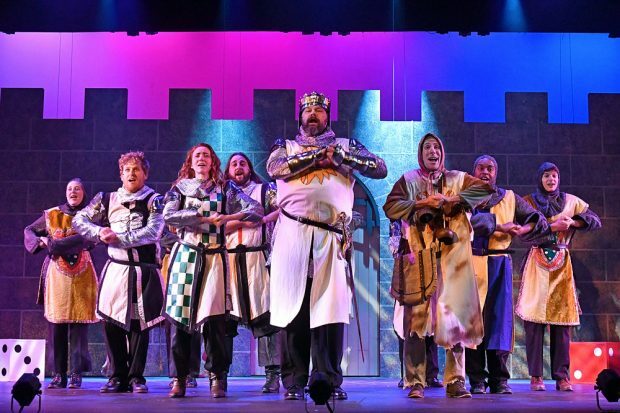 The Tony-award winning “Spamalot” serves as a vehicle to reprise some of the most loved “Monty Python” moments, and as a spoof on traditional Broadway performances. While the storyline holds to the thread of the original film, the musical nature of “Spamalot” allows it to take some entertaining diversions. The Grand Theatre production of “Spamalot” did its best to keep true to the original production, with just a handful of changes. 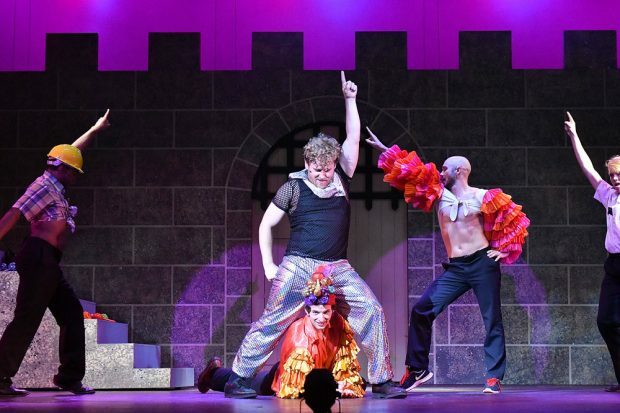 The Grand Theatre production of “Spamalot” takes the gender-bending antics of the original Monty Python play and pushes it further. While played by a male in the original production, this one has the ultra charismatic actress, Britty Marie, handling the role of Sir Robin. “There might have been a bit of forethought, but Jamie [Rocha Allan, director] is so amazing at finding talent … and I don’t think it mattered so much to whether [Sir Robin] was a male or female, but that [Marie] was the right one for the part,” Hanson says. 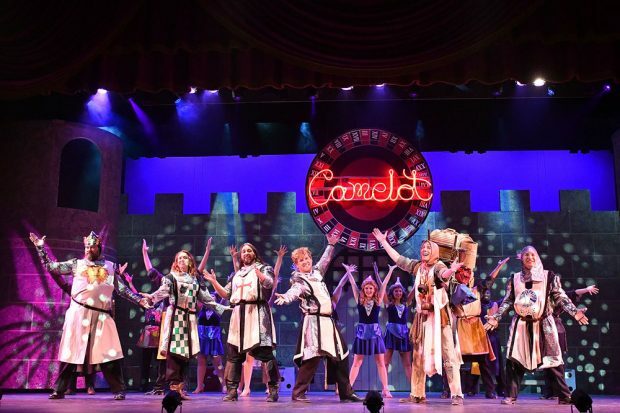 “Spamalot” will run at the Grand Theatre through Saturday, June 9. Ticket prices range from $17 to $23. Contact the Grand Theatre box office for more information.